We so proud to be WaterTower Theatre's chosen mail service provider. WaterTower Theatre is an award winning not-for-profit theatre company in Addison, Texas. Their state-of-the-art facility is part of the Addison Theatre Centre which, fortunately for us, is just on the other side of the Addison Airport from our offices. Direct mail projects that we've done for WaterTower Theatre have included postcards, brochures and letters — most of them designed by the amazing folks at Rainmaker Advertising. 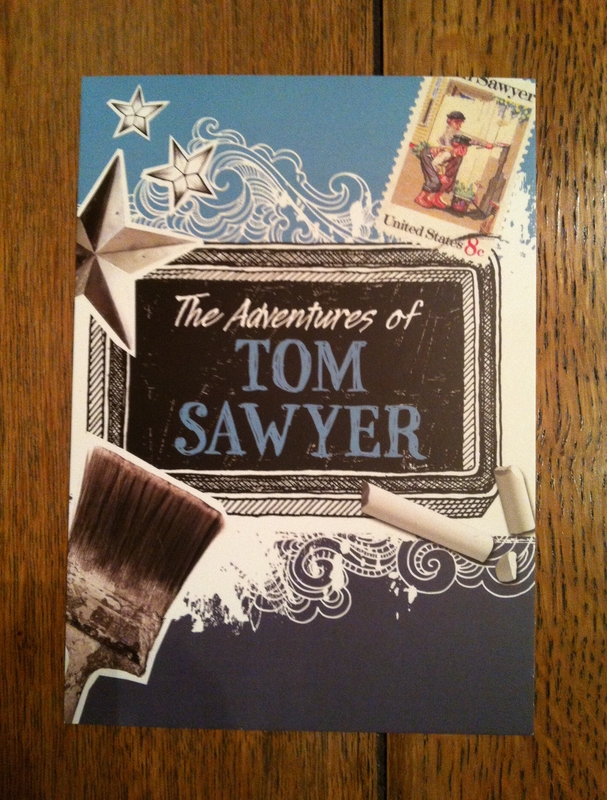 This postcard they did for The Adventures of Tom Sawyer really captured my heart. Take a close look at the picture of the card and I bet you can guess why. Mail Music Monday – The Who?